Earlier in 2016, a survey revealed that approximately 93% of the Great Barrier Reef was hit by coral bleaching. Coral bleaching isn’t irreversible, but coral regrowth is dependent on recovery time from unusually warm ocean temperatures. Things have not cooled down. 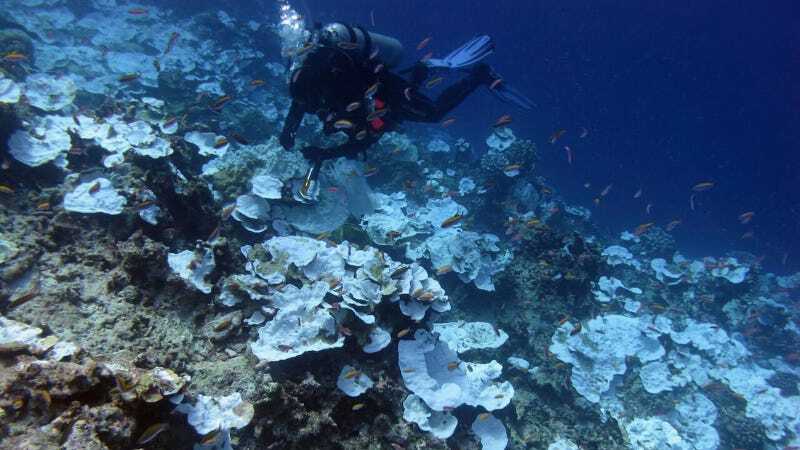 “We’ve seen three bleaching events (in the reef) and each time it can be explained by where the warm water was,” the report’s author, ARC Center of Excellent for Coral Reef Studies Director Terry Hughes, told CNN. “In the north, the summer temperatures got up to two degrees above the normal maximum and that caused severe bleaching,” he said.